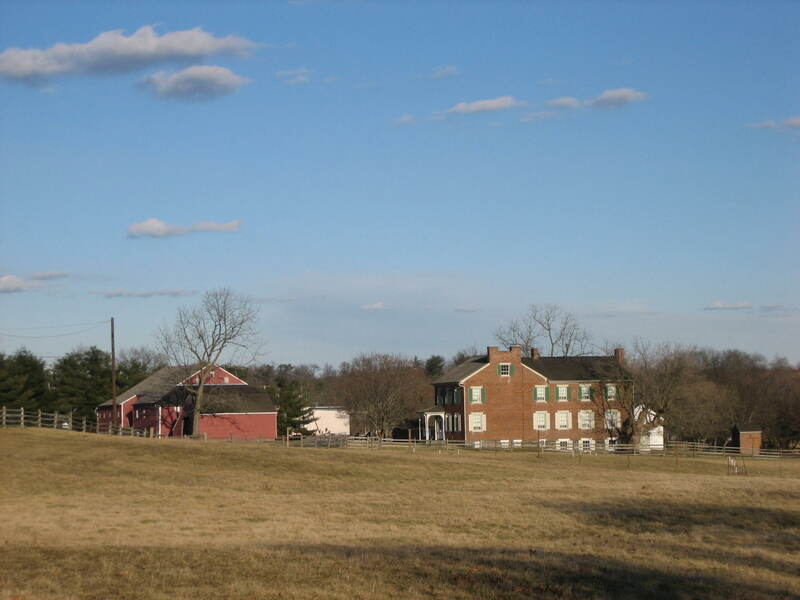 In the borough of Gettysburg there were 97 occupations according to the 1860 census. While we are familiar with the farms surrounding the town where much of the battle was fought, we probably don’t think there were too many farmers living in the town. There were 18. 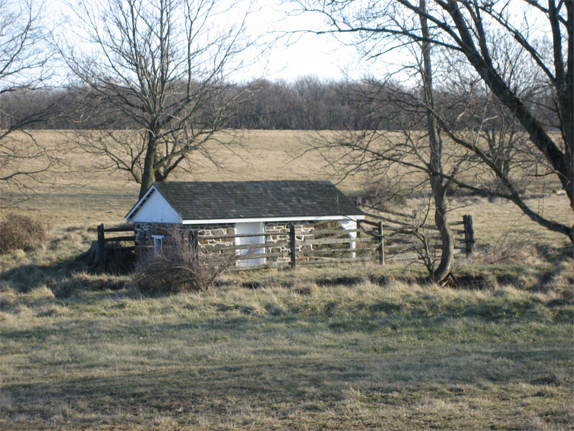 On a cold, windy Wednesday, the Gettysburg Daily visited one of those sites, the Henry Culp Farm at 301 East Middle Street. Henry Culp, born circa 1809, owned $18,000 in real estate, and $2500 in personal estate for a total of $20,500. 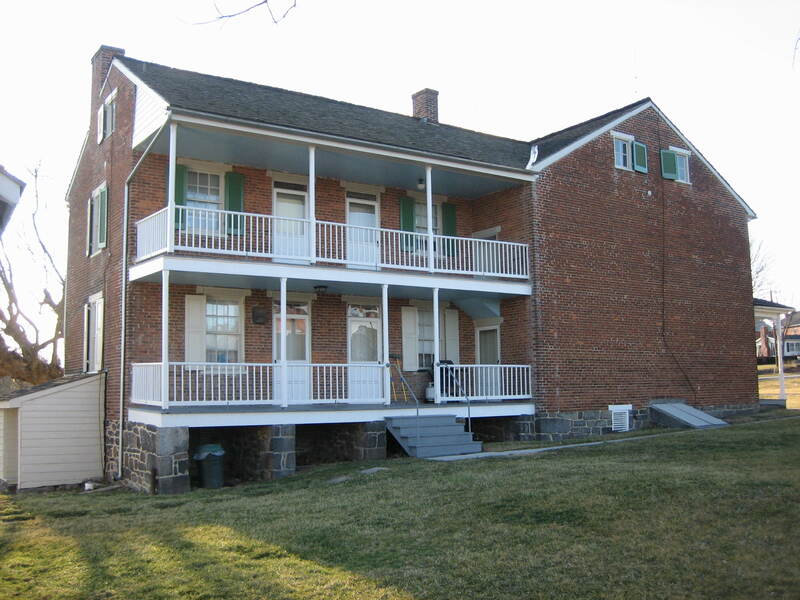 This made him the 10th wealthiest person in Gettysburg in 1860. This view shows from left to right, the Culp Barn, Shed, two outbuildings, and the House. 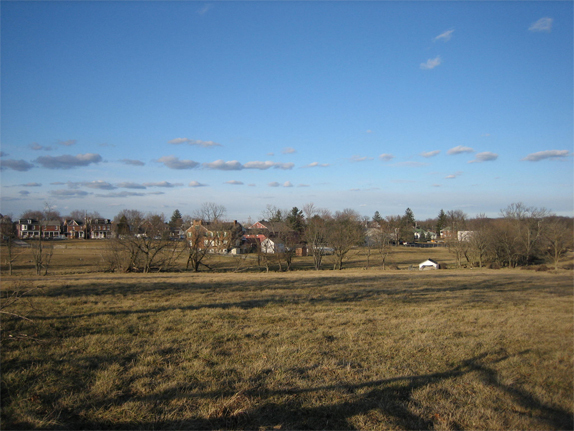 It was taken from the northwest, near East Middle Street, facing to the southeast at approximately 4:30 PM, Wednesday, February 27, 2008. The Culp House. The view is from the northwest facing to the southeast at approximately 4:30 PM, Wednesday, February 27, 2008. 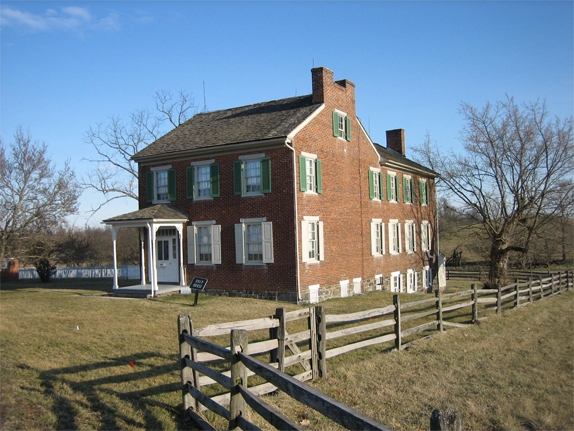 The south and west sides of the Culp House. The view is from the south facing to the north at approximately 4:30 PM, Wednesday, February 27, 2008. The east side of the Culp House. This view is from the southeast facing northwest at approximately 4:30 PM, Wednesday, February 27, 2008. 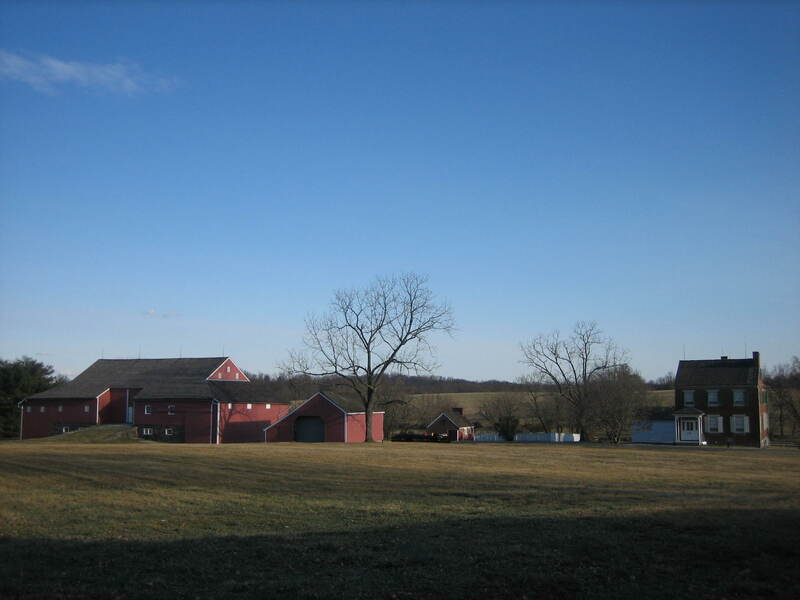 Total economic wealth possessed by Gettysburg, Adams County, Pennsylvania Farmers (18) according to the 1860 federal census: $98,000, or 7% of the total economic wealth, $1,502,245, possessed by Gettysburg, Adams County, Pennsylvania residents (2390). This placed Farmers 3rd in rank among Gettysburg occupations (97). 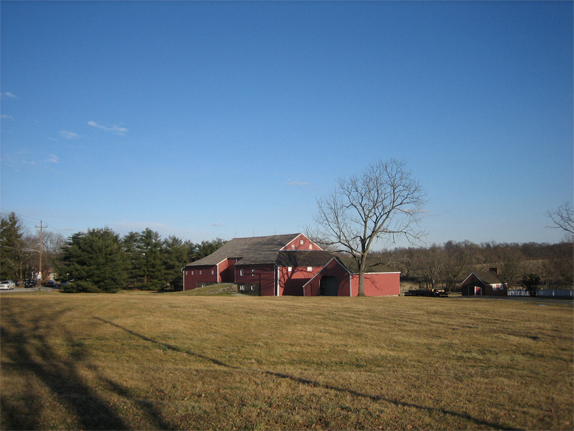 The Culp Barn and Shed. 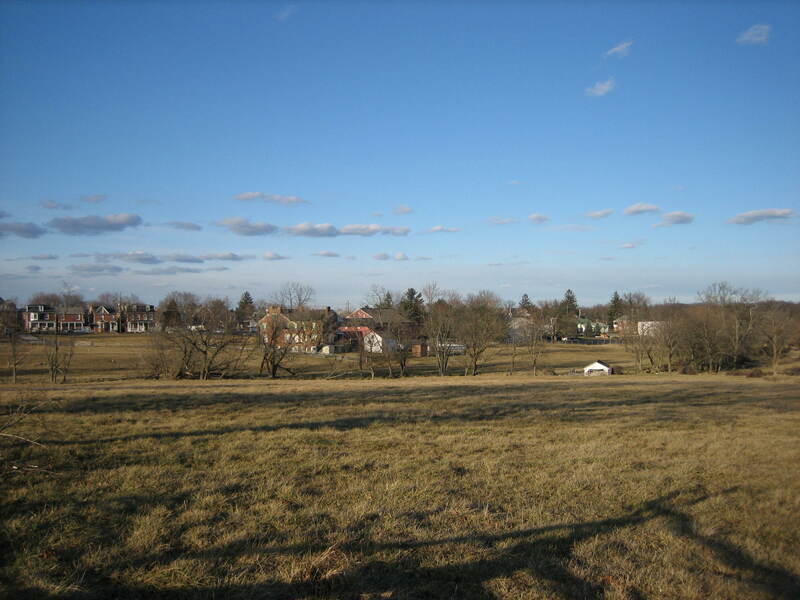 This view is from the northwest facing southeast at approximately 4:35 PM, Wednesday, February 27, 2008. 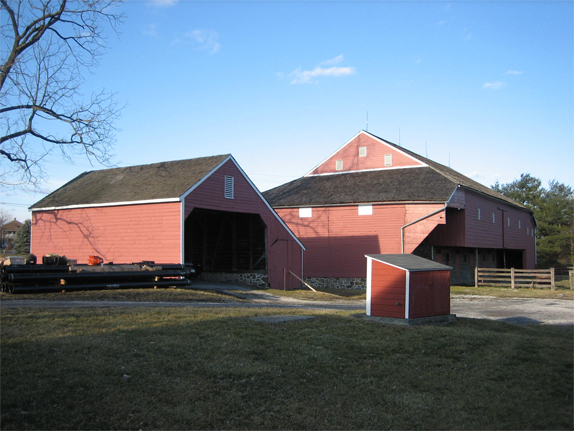 The Culp Shed and Barn. 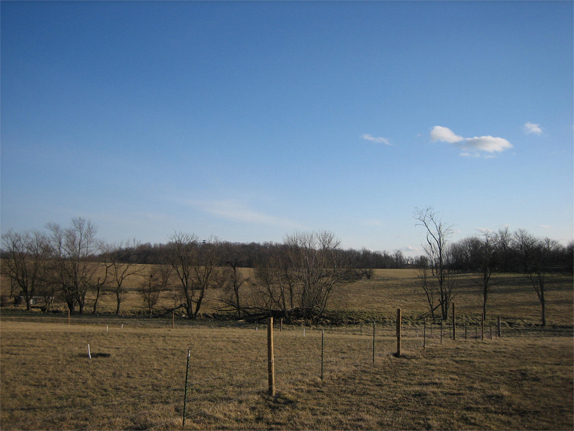 This view is from the southwest facing northeast at approximately 4:30 PM, Wednesday, February 27, 2008. 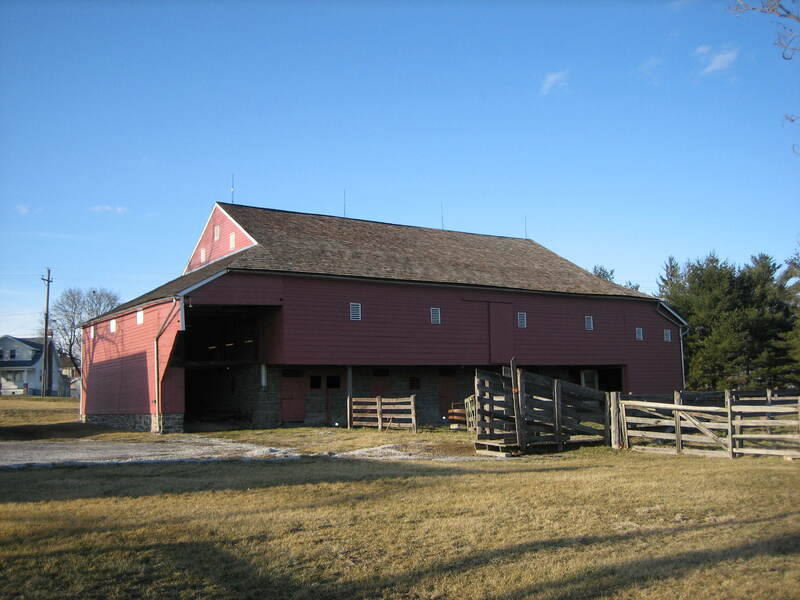 The rear of the Culp Barn. This view is from the southwest facing northeast at approximately 4:30 PM, Wednesday, February 27, 2008. The Culp Farm Springhouse. This view is from the north facing south at approximately 4:30 PM, Wednesday, February 27, 2008. 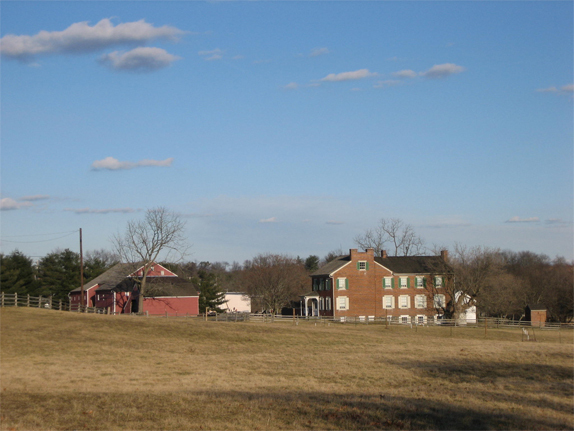 Average economic wealth possessed by Gettysburg, Adams County, Pennsylvania Farmers (18) according to the 1860 federal census: $5444.44. 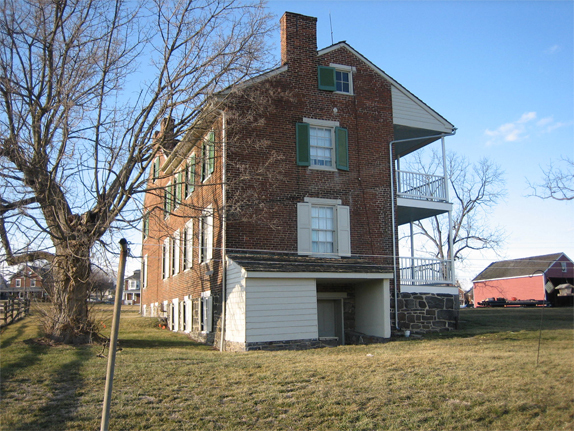 This placed Farmers 9th in rank among Gettysburg occupations (97). The Henry Culp Farm. This view is from the west facing east at approximately 4:40 PM, Wednesday, February 27, 2008. Gender division of Gettysburg, Adams County, Pennsylvania Farmers (18) according to the 1860 federal census: Male 18, or 100% of Gettysburg Farmers (18) and 3% of male Gettysburg residents ages 18 and over in 1860 (643). approximately 4:40 PM, Wednesday, February 27, 2008. Place of birth division of the Gettysburg, Adams County, Pennsylvania Farmers (18) according to the 1860 federal census: Delaware 1, or 6% of Gettysburg Farmers (18).Maryland 1, or 6% of Gettysburg Farmers (18).Pennsylvania 16, or 89% of Gettysburg Farmers (18). statue of Major General Henry Slocum on Stevens Knoll. This view is from the north facing south at approximately 4:35 PM, Wednesday, February 27, 2008. Race division of the Gettysburg, Adams County, Pennsylvania Farmers (18) according to the 1860 federal census: White 18, or 100% of Gettysburg Farmers (18).